Authorities in Manipur have imposed prohibitory orders in Imphal East and Imphal West districts for an indefinite period in view of the continued protests against the Citizenship Bill which is likely to be tabled in the Rajya Sabha on Tuesday. The capital city of Imphal falls under both Imphal East and Imphal West districts. The prohibitory orders under Section 144 CrPC in the two districts were imposed last night, officials said. Mobile internet services have also been suspended indefinitely. Security has been strengthened in the residences of MLAs and ministers, including that of Chief Minister N Biren Singh, the officials said. While roads were deserted in both the districts, police personnel were seen informing people through loud speakers about imposition of the prohibitory orders and asking them to stay indoors. Security forces have also set up barricades on major roads. Markets, schools, colleges and offices were closed, the officials said. 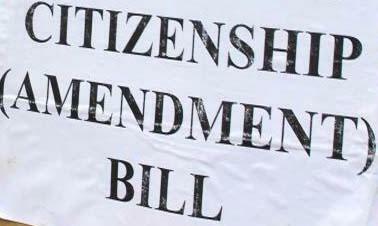 The controversial Citizenship (Amendment) Bill is likely to be tabled in the Rajya Sabha later in the day. The bill, being vehemently opposed in the Northeast even by parties that are allies of the BJP, was passed in Lok Sabha on January 8 and the Centre had said it will try to get the Rajya Sabha nod in this Budget session. The bill seeks to provide citizenship to religious minorities from Bangladesh, Pakistan and Afghanistan after six years of residence in India, instead of 12 years, which is the norm currently, even if they do not possess any document. The indigenous people of the region are apprehending that if the bill is enacted, it will endanger their livelihood and identity. Meanwhile, the 36-hour shutdown called to protest the bill is continuing in Jiribam district, affecting normal life since 5 am on Monday. The shutdown was called by the Peoples' Alliance Manipur (PAM), a conglomerate of several organisations.